Tell them the struggle is real, it is. We all strike out make an epic fail, and not just in baseball. You see I want you to turn to Luke 22. If you don't have a Bible you can look in your worship guide and there are some notes to follow along, I hope you do. 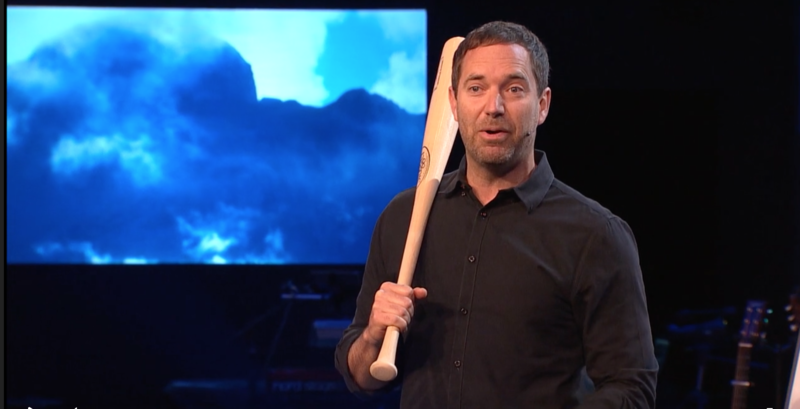 But in Luke 22 we're gonna see a story about a great Christian who struck out. You see he was arguably one of the greatest Christians who ever lived, his name was Peter. He was one of the 12 disciples, one of Jesus' three closest friends in Jesus' earthly ministry. And what we're gonna see in the story is that Peter didn't think he could fail. As a matter of fact it's a great time to look at this story because we're walking up to Easter together. I hope you're thinking about who you're gonna invite to that powerful weekend where we remember what Jesus did for all of us and that He's alive today. But when you think about what happen walking up to that, you find the story. Because the night before Jesus died on the cross, he had this last meal, the Passover meal with his disciples. And Peter actually told Jesus this, he said Jesus if you go to prison I'm going with you. Jesus if you get executed I'm gonna die with you. What was Peter saying? Jesus I'm never gonna fail. Well right after that meal they went to the garden of Gethsemane, Jesus is arrested. The disciples run and Peter follows at a distance as Jesus is taken by the soldiers to Caiaphas' house. Caiaphas was the high priest and Peter is following at a distance. He gets into this palace of Caiaphas and he's in the courtyard as Jesus is on trail for his life and he's really, it's not a legal situation at all. It's false witnesses and trials couldn't be in the evening. It's just all wrong but it's happening in real time and Peter is in this courtyard. Let me show you what this may look like as you think about where Peter is. He's actually into the interior of Caiaphas' house. It's an open courtyard and there's a fire pit there. Fire pits were not invented in Texas, okay? He's around a fire pit because inside the house, there's an open courtyard and Jesus is on trial for his life underneath one of the porticoes of Caiaphas' home. And Peter's close enough to hear what's going on, see what's going on but some soldiers and servants and onlookers and Peter have gathered around this courtyard as they listen to this trial that's happening. It's about 1 o'clock in the morning. And the servant girl looks over the fire and notices Peter and says you look real familiar. Aren't you one of the followers of Jesus? And Peter looks at her and says, no I'm not. I don't even know him. Strike one. Then a little while later around the same fire, another person says to Peter, hey you look really familiar. Aren't you one of the followers? Are you sure you're not a follower of Jesus? And Peter looks at this person and says, no I'm not a follower of Jesus. Strike two. About an hour later, another person looks over the fire and notices and listening to Peter's voice and says hey, you have an accent like one of those backwood Galileans. You know Jesus is from Galilee are you sure you're not a follower of Jesus? And Peter gets real emphatic almost animated and says man, I swear to you, I don't know what you're talking about. Strike three, and at that moment the rooster crows. At that moment, let's pick up the story in Luke 22. If you have a Bible or I'll put it on the screen for you. Verse 61, after this third strike, the third time Peter denied Jesus, at that moment the Lord turned and looked at Peter. Can you imagine? They locked eyes and suddenly the Lord's words flashed through Peter's mind, before the rooster crows tomorrow morning you'll strike out, you'll deny me three times that you even know me and Peter left the courtyard weeping bitterly. You can feel it can't you? Failure is painful, failure hurts, I think that's one of the reasons we don't like to admit it. Peter is struggling with failure in this moment, he's feeling the pain of letting Jesus down, we've all been there, haven't we? We're gonna be a strong Christian, we're gonna go all in, we're not gonna let Jesus down, we're gonna follow Him no matter what and then something little trips us up and we deny Jesus with our lives, or with our reaction to something, or with our attitude or how we treat the people in our own home. We deny Jesus with our words and all of a sudden we fail, we trip up, we stumble. 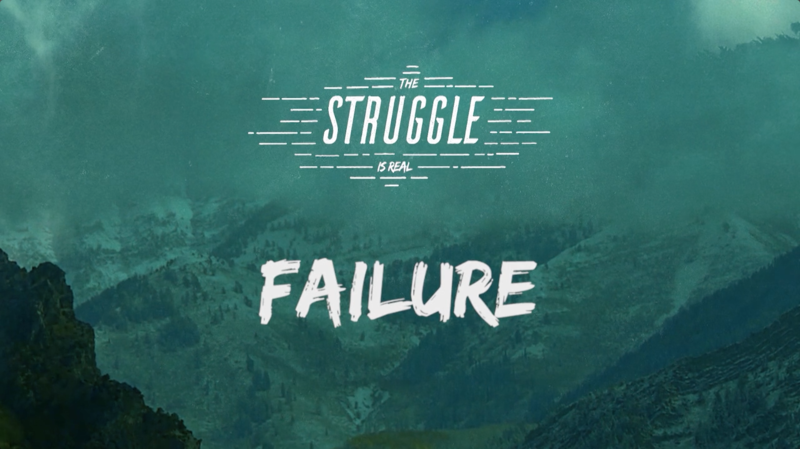 We struggle with failure in big and small ways, we struggle and some of us are struggling today.